First up, the gorgeous Bec from Dancing Through Sunday constantly links up the most amazing vegetarian recipes to our FFF parties. We’re not vegetarian, but would seriously consider it after seeing all of her yummy creations. 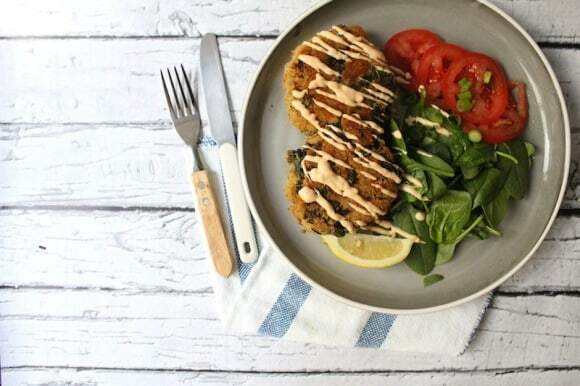 These Kale and Quinoa Patties are just the thing for a post Christmas detox! For all of those asparagus fans out there (yep that’s us too! 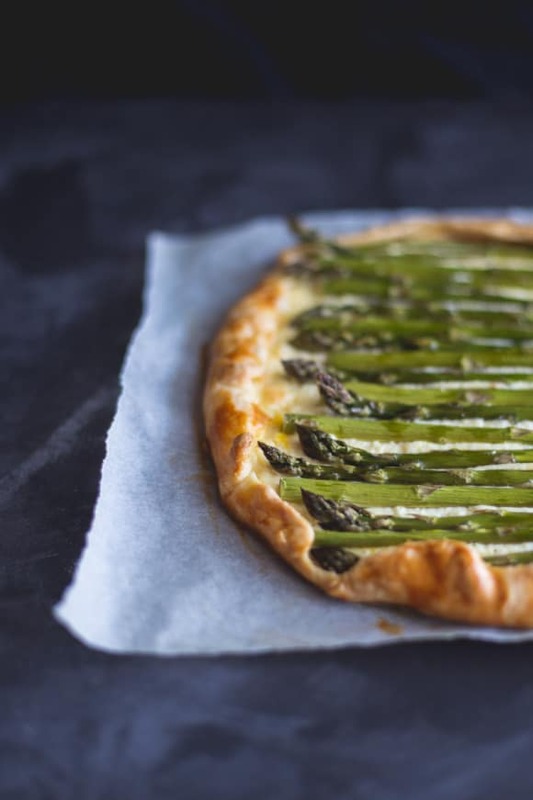 ), Erin Made This totally blew us away with this super simple and totally tasty Lemon, Asparagus & Ricotta Galette. 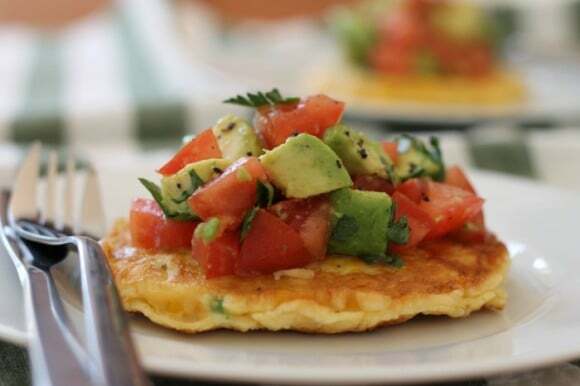 If you’re planning a few lazy brunches over the next week or two, then make sure you add Pretty Mayhem’s Corn Fritters with Avocado and Tomato Salsa to the list… amazing! You know a recipe is a favourite when you’ve made it about 6 times in the last couple of months! 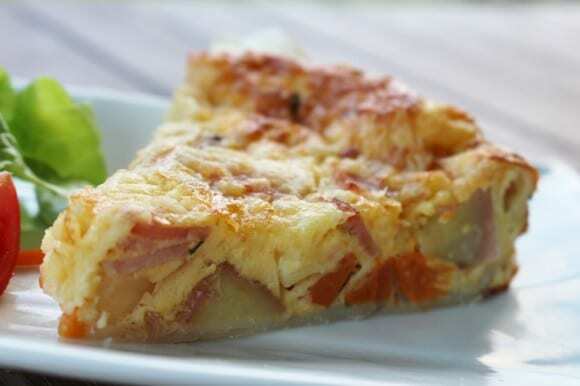 That’s exactly what’s happened with this Potato, Bacon & Egg Pie from Danielle at Zamamabakes – it is seriously the quickest and easiest weeknight meal. 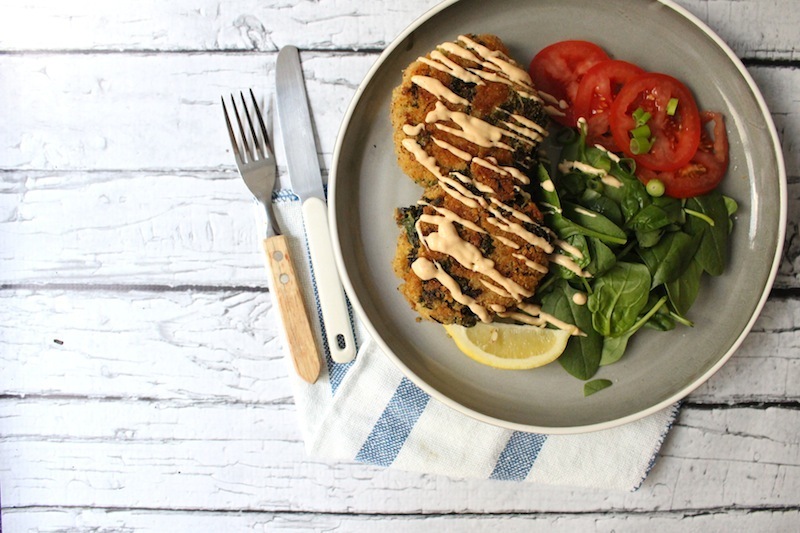 VegeTARAian is another blog that’s had us drooling all year. 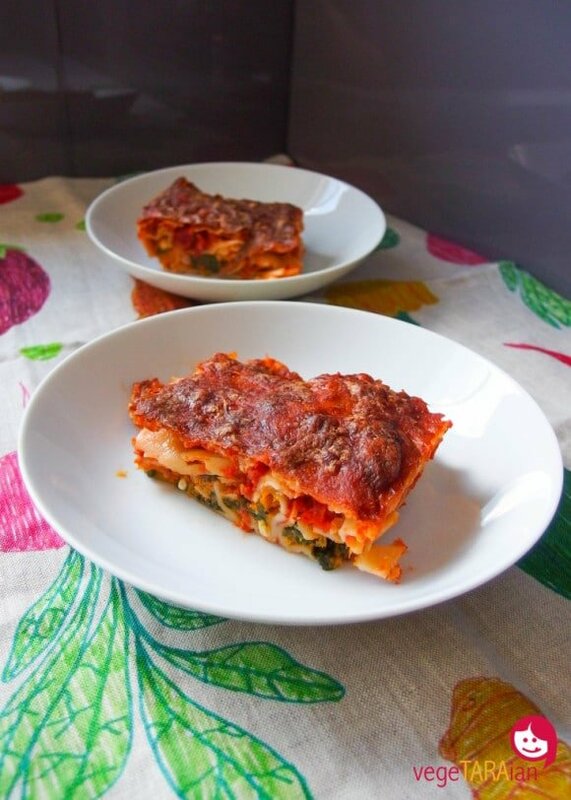 We love Tara’s yummy Roast Pumpkin and Spinach Cannelloni for a delicious meat-free dinner. It’s the perfect time of year to make this Leftover Pie from Insatiable Munchies. This lovely lady takes the most gorgeous photos that are totally drool worthy. 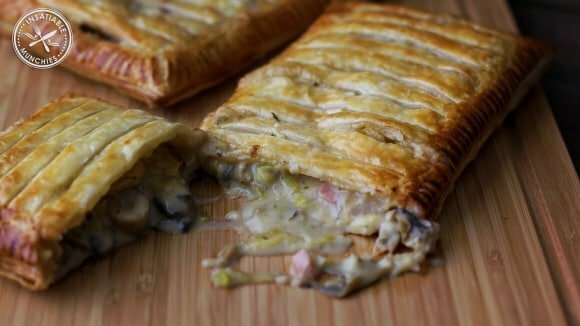 We love the simple and family friendly meals that Cooking for Busy Mums constantly creates. 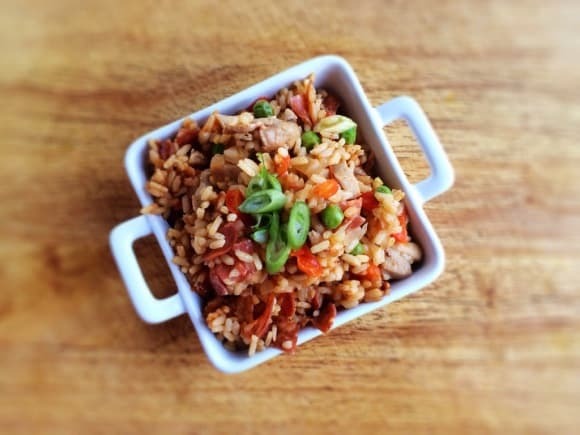 Amanda’s Chicken and Chorizo Paella was just one of her recipes that we loved this year. Boy Eats World is a fantastic blog and if you follow Aleney and her super cute son Raffles on FB or Instagram you’ll know that they love good food. 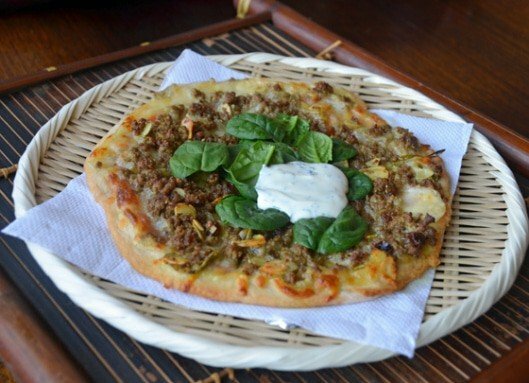 We thought this Middle Eastern Lamb Pizza sounded amazing… and looks just as good! Land Of Zonkt ran the most brilliant Simple Salad Series this year and we loooooved it! Kim seriously knows her salads. 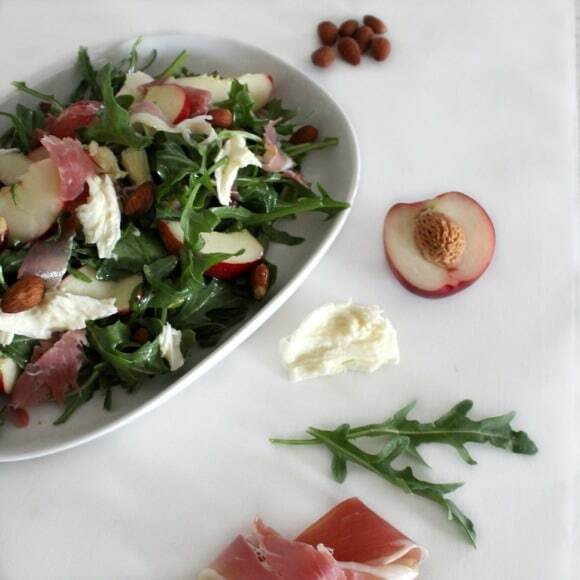 This White Nectarine & Prosciutto Salad with Maple Dressing certainly caught our eye… along with ALL of her other yummy salads, of course! 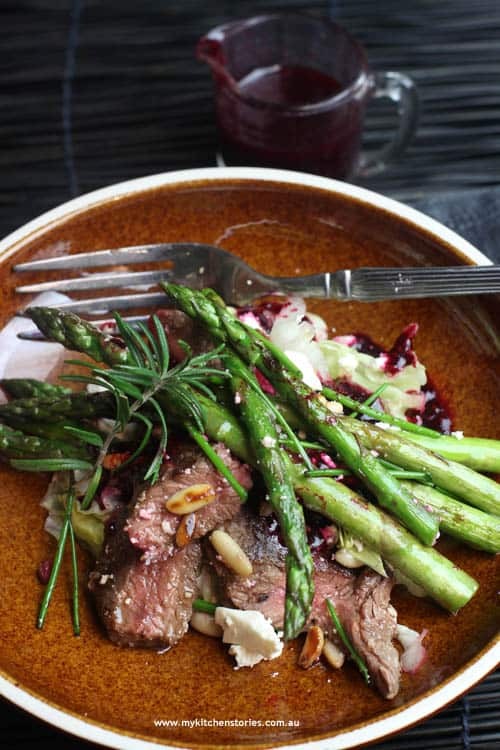 Finally, My Kitchen Stories brought us this super delicious Grilled Asparagus and Lamb Salad with Beetroot Chia Dressing. With the perfect BBQ weather we have going on at the moment, there’s no better time to whip this up! 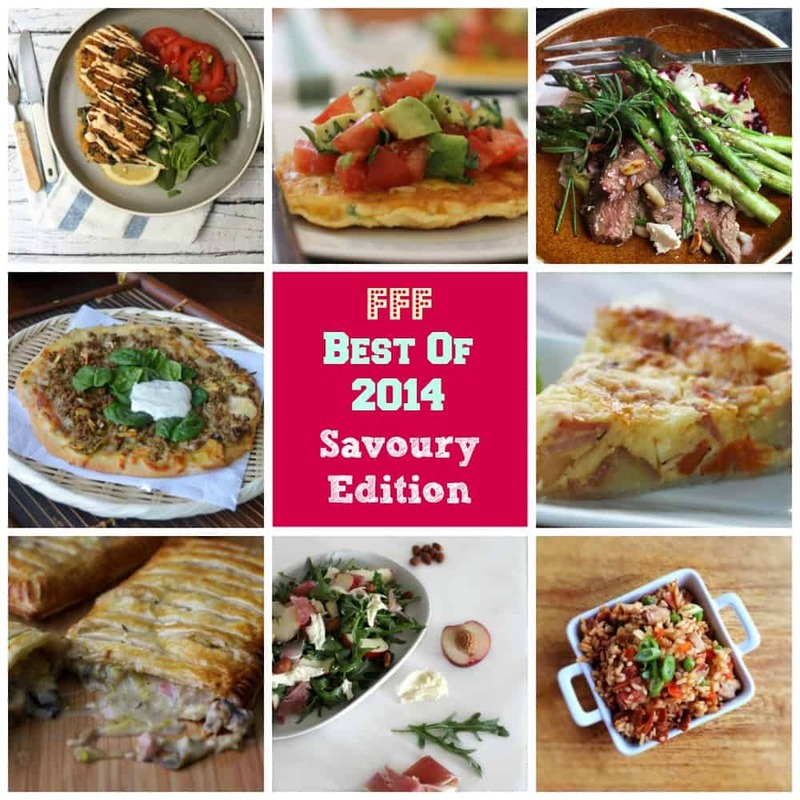 So there you have it… 10 amazing savoury recipes from this years FFF parties! We can’t wait to see all of the yumminess that’s linked up next year. We hope you had a lovely Christmas and are now enjoying a wonderful break with your family and friends. Happy New Year to all our gorgeous foodie friends. I don’t know how you ladies made such tough decisions. I only started blogging in May and only cottoned onto the foodie party mid party, but I am glad I did, there are seriously some talented souls out there in the foodie world, which I love! Creativity in any form is up my alley and this has been all kinds of inspiring. A tough gig to decide indeed! A big big thank you for featuring my Nectarine Salad in the mix of your savoury edition. I have loved bringing my salads to the masses and even more overwhelmed by its reception. Means the world that you liked them as much as I do creating (and eating) them. Thank you so much for your support this year Kim, you are such a talented (and lovely!) lady and we’ve really enjoyed getting to know you this year. Whenever I have made one of your salads, everyone has simply loved it – no wonder as they taste amazing! Hello Lauren. It’s been a lovely way to meet you this year. I have enjoyed joining the link ups and having access to some new and wonderful blogs. Thank you for featuring my recipe. It was a whats in the fridge style BBQ recipe that won me a great prize this year and will even feature in a “Bioglan” book to be published in March along with a whole bunch of other amazing bloggers recipes. I look forward to joining in again next year….thank you!